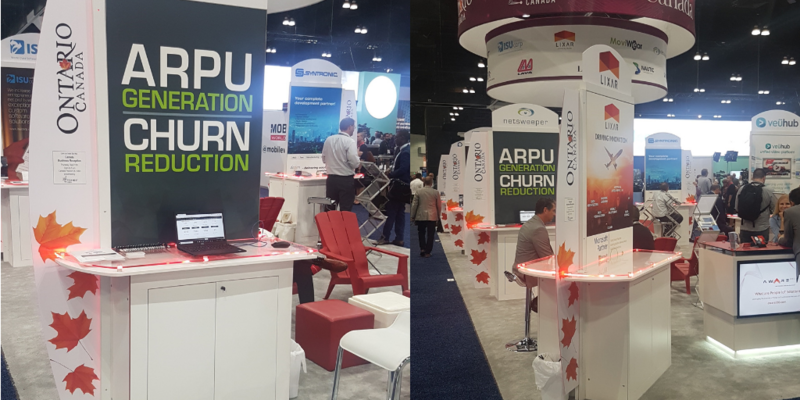 Just over a week ago, our North American Sales team attended Mobile World Congress Americas 2018 as a part of the Ontario Pavillion provided by Ontario Trade Commission. Each year a group of Ontario based organizations represents Ontario by showcasing their products or services that a native to Ontario. It is a great opportunity to build stronger relationships with fellow Ontarians as well as showcase the immense talent coming out of Ontario, Canada. 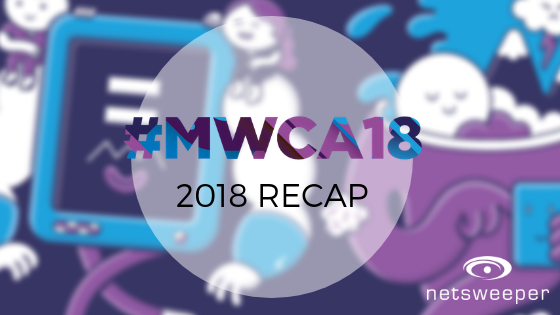 The three-day event featured innovative exhibitions, a diverse agenda of conference sessions, GSMA summits, seminars, networking events, and nearly 22,000 attendees from all over North America. Upon arriving our team was emersed in this years theme of 5G, Virtual Reality, and Gaming. There were a wide variety of vendors from devices, accessories, VR sets, you name it, it was there. We were blown away by the latest a greatest technology and trends being revealed at this event. There were a variety of keynote speakers who each provided their expertise on a wide range of topics including Vice International, HBO, and AT&T Mobility, just to name a few. With over 1,000 companies participating it was an event worth attending. Our team also met with a variety of valued partners, customers and new potential relationships as well. It was great to catch up and to see how 5G is affecting the landscape of technology in different industries. Image courtesy of Mobile World Congress Americas – Event Recap. With the move to 5G Internet Service Providers are preparing for a new wave of enhancements that will affect how everyone interacts worldwide. With the release of VR and new technology in gaming, it is important for any service provider or network to be aware of the risks that come along with it and to provide additional value-added services that will help protect their end users. Through the conversations with event attendees, partners and potential partners we were able to provide insight into the necessity of continuing to protect the safety, privacy and personal data of individuals online. With our suite of value-added services, we help ISPs and Network providers to increase APRU and reduce churn by giving their customers peace of mind that their family members are safe while using the internet, any day, anytime. Interested in learning more about our value-added services? Our demonstrations are available by appointment at any time. If you would like to see what we showcased at the show or are interested in learning more about Netsweeper, contact us today.